Created by 2 different presidential acts, these two medals were originally given to Armed Forces service members serving in specific military campaigns overseas. Once the campaigns were over, supplies of these Medals immediately began to dry up. We found these brand new, never issued, still in the original boxes. Incredible pieces of history for your collection. 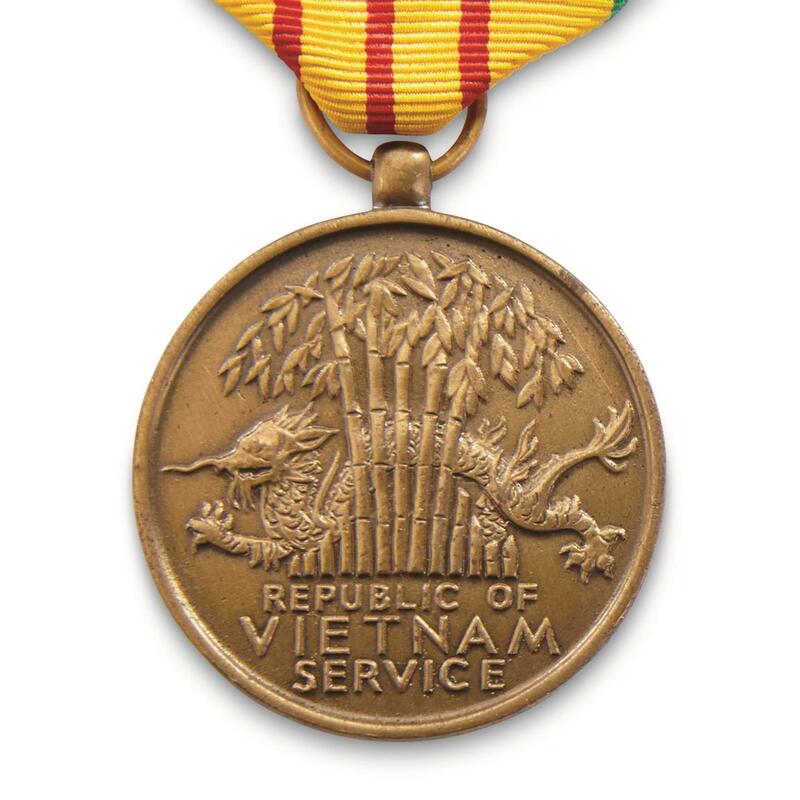 A historical award from the Vietnam War era. 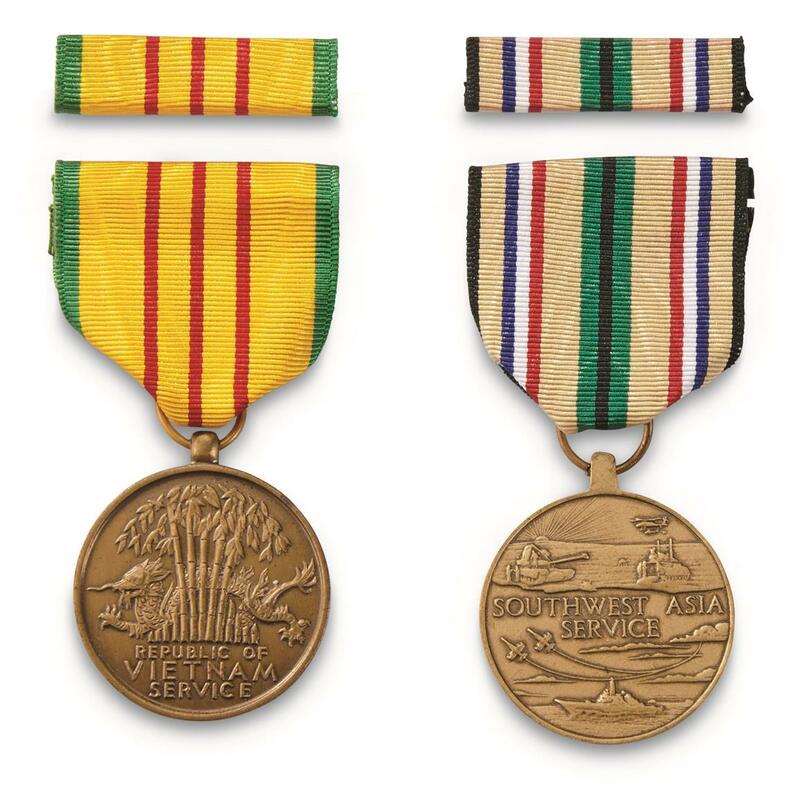 The Vietnam Service Medal was created by President Lyndon B. Johnson back in 1965. It was awarded to any member of the Armed Forces who served in Vietnam, Thailand, Laos or Cambodia during the period of U.S. involvement in the Vietnam War (1958-1975). One side depicts a dragon amid a grove of bamboo trees, the other side depicts a crossbow firing a lighted torch. An authentic medal awarded for Persian Gulf service. 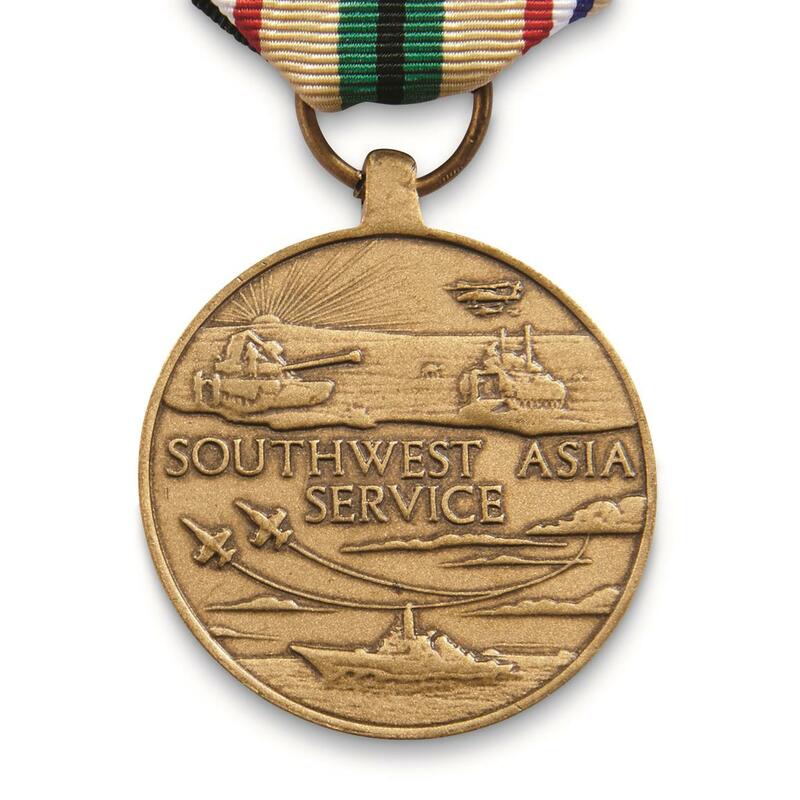 The Southwest Asia Service Medal is a little bit more recent. Created by President George H.W. Bush in 1991, the Medal was awarded to Armed Forces members who served during the years of the original Persian Gulf War (1991-1995) in Israel, Egypt, Syria, or Jordan. One side depicts the Persian Gulf, along with ship, tanker, aircraft, tank, APC, helicopter and camels. The other is a sword entwined with a palm frond. 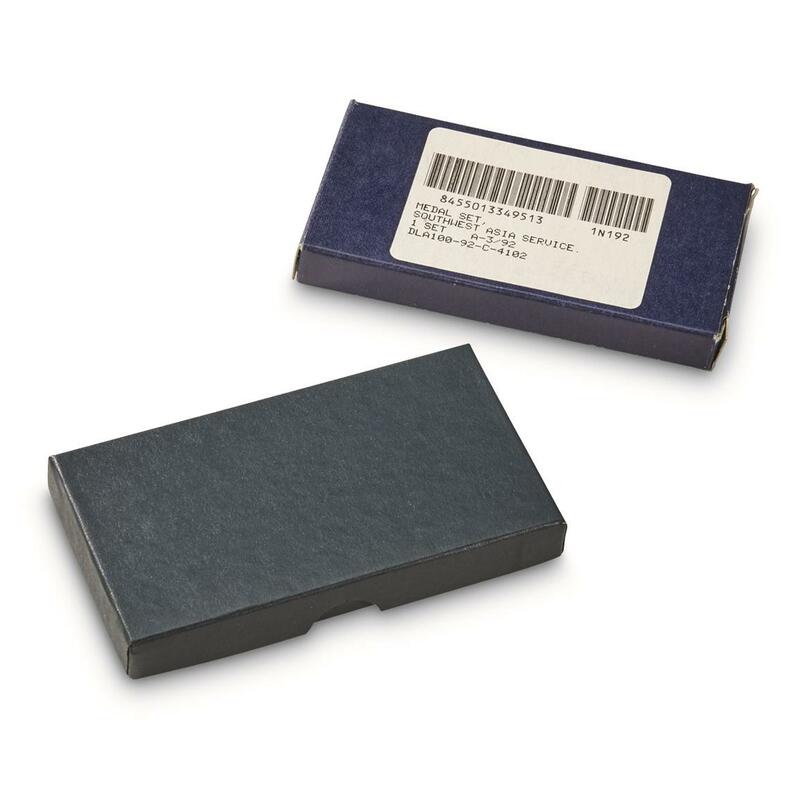 Get yours while our supply holds out!